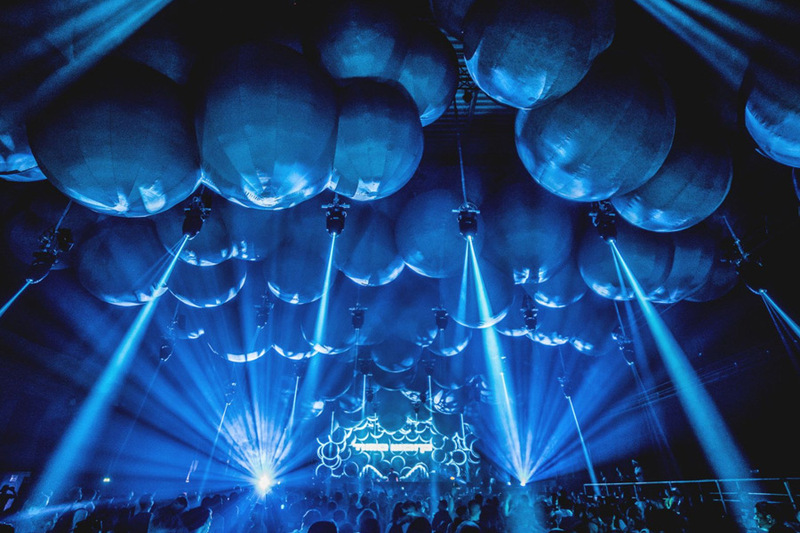 Universally recognised as the flagship event for those with a penchant for techno, Time Warp celebrates its 25-year anniversary when 6th April 2019 rolls around. Growing into an internationally recognised brand over a quarter of a century, Time Warp has transformed from humble beginnings into a worldwide phenomenon, elevating techno as an electronic subgenre right into the heart of popular culture. Though the demand for techno events (Time Warp in particular) has increased exponentially, the culture of this beloved electronic dance music is inexplicably tied to the underground. The festival was introduced in Ludwigshafen, launching in 1994, but Time Warp moved to several locations before permanently settling on Mannheim's 'The Mothership' Markethalle in 2000. 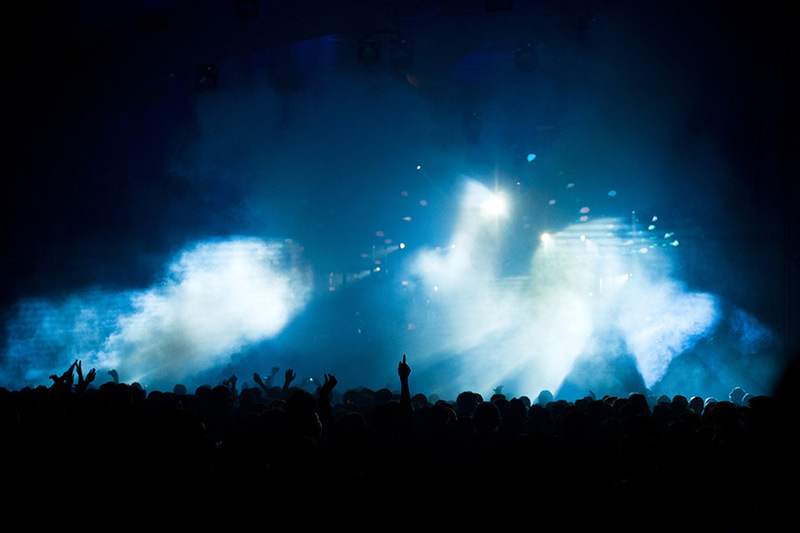 Due to unprecedented demand, it was logical that the festival shifted across the river Rhine as techno as a movement became more and more prevalent across Europe. It's stayed there ever since. The first edition saw sets from Laurent Garnier and Speedy J, both of whom are deeply entwined with the festival's story, as many of the same artists return again, and again. Recognise any names from this 1995 poster? Though electronic music sub-culture had infiltrated the mainstream during the '90s, the passion was still fervent as ever. No longer constricted to club nights and illegal raves, techno went commercial. This prompted Steffen Charles and Michael Hock - a young promoter and record shop owner - to start a party that harked back to the "good old days" when techno was strictly underground. Envisaging a club night vibe on a much grander scale, Time Warp represented a bastion to celebrate underground electronic music culture. For 19-hours at a time. That, for certain, is still true 25 years on. Musically, Time Warp has showcased pioneering artists throughout its tenure. But technically, the festival sets new standards with each edition. Putting the focus on visuals as much as the sound design, Time Warp changed the perception of stage production and made it an art form. Each room within the hangar is given its own individual aesthetic, some of which have become iconic; other festivals may have caught up technologically, but few create visuals and set designs so stylishly. Once you've partied in 'The Warp' or 'The Cave 2.0', nothing compares. 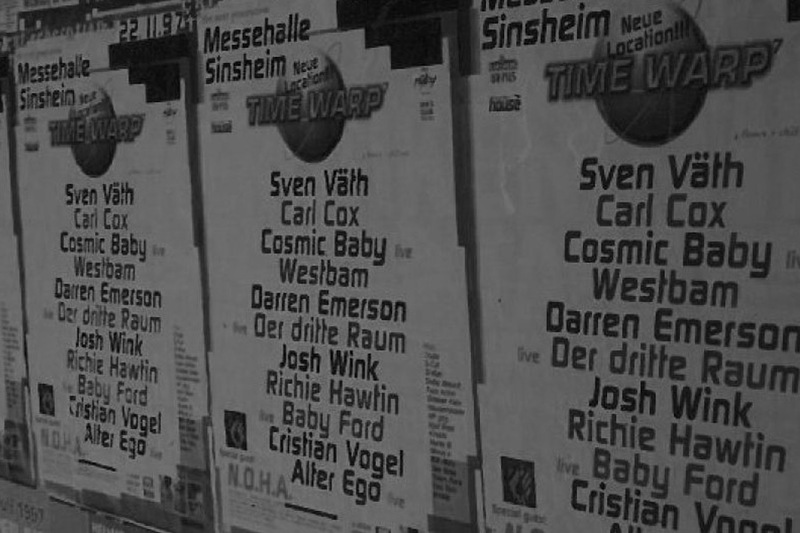 The likes of Laurent Garnier, Carl Cox, Sven Väth, Chris Liebing, and Richie Hawtin have become so ingrained within the narrative of Time Warp since its inception in 1994. Sven Väth, for instance, first played in 1995 and hasn't missed an edition since. There's a reason for the recurring roster of artists that return to Time Warp again and again. Some of techno's finest moments have been created at Time Warp; when DJs rise to the cream of the dance scene they strive to retain the sense of the underground despite their successes, which in-turn ensures Time Warp assembles an unparalleled lineup year-on-year. Richie Hawtin, who's held the closing set of the festival since 2004, said: "I continue to hold on to the closing because it brings you back to those moments of the early scene when it wasn't so big. DJs weren't so famous and everybody came together more as friends than competing colleagues to enjoy great techno music." Looking at the profound effect that Time Warp has had on the global electronic music scene is evident; not only have they broadened the brand's scope by holding Time Warp events in New York, Amsterdam, Sao Paulo, and Milan but they created the blueprint that enabled techno to flourish. Retaining its underground roots is paramount - "Time Warp is underground, Time Warp is staying underground. We don't want to move in another direction, even if it's tempting from a commercial point of view. 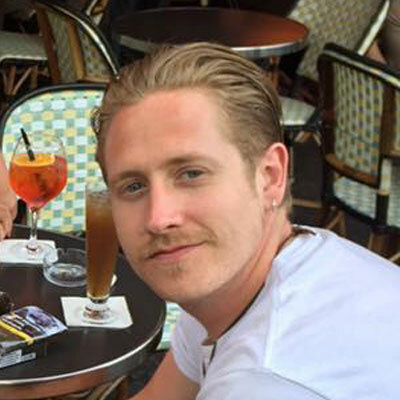 Time Warp will only remain successful if we stay true to ourselves" said Time Warp's Head of Production, Frank Eichhorn. Entering its landmark 25th year, Time Warp embraces the spirit of the underground more fervently than ever. As the cult slogan goes, "Gude mood Aldaaaa?"